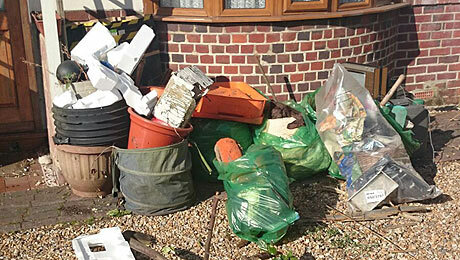 Welcome to Rubbish and Waste Clearance Portsmouth, the leading independent recycling company in the south of Hampshire. We're professional, reliable, friendly, uniformed and licenced waste carriers. We are therefore able to handle all types of waste - from rubble to sofas and wood - using our fleet of easily identified sign-written vans. We are committed to reducing landfill waste by recycling and processing a large proportion of our waste collections. 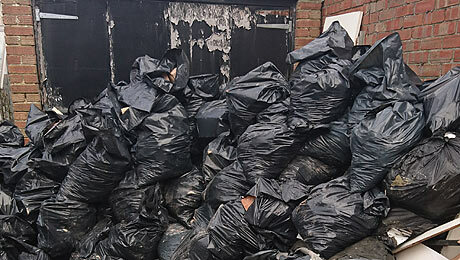 Our services include household waste removal, house clearance, garden waste removal, building waste clearance, office clearances and site clearances. We offer an alternative to skip hire with our flexible and affordable services which are available to home owners and business owners - six days a week. We are happy to clear single items as well as multiple full loads - and due to the size of our vehicles (approx 12 cubic yards) we are able to offer extremely competitive prices. We provide rubbish clearances for home owners, offices, builders, estate agents, landlords, gardeners, solicitors, kitchen fitters, Local Authorities and property management companies. We're fully-licenced and monitored by the Environment Agency to carry all waste - so there's absolutely no chance of your rubbish being slyly fly-tipped. We have full public liability insurance and are Checkatrade registered. We actually recycle as much as 80% of all our collected rubbish and frequently donate items to local authorities when it's appropriate to do so. 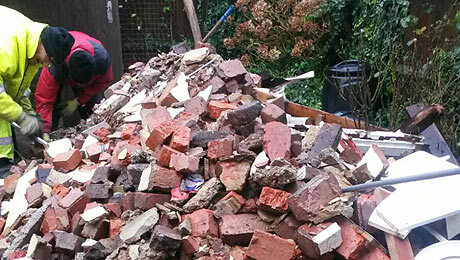 All other rubbish is taken to a commercial waste disposal site where it is logged and is traceable.